The first four months following the naming of a Chief Management Officer have been challenging and heartening. Customer services have improved, leadership development has begun and critical management systems, including technology, are advancing. Still much remains to be done. To accomplish continued improvement, we are implementing the Comprehensive Performance Management System. The consensus budget process, with joint involvement of the Authority, the D.C. Council, the Mayor, and the Chief Financial Officer, laid a strong foundation for future joint efforts and resulted in adoption of 10 key decisions to guide the Fiscal Year 1999 budget. A sound budget, combined with improved recruitment of executives, increased accountability, and the development of performance measurement and better technology, helps to ensure continued success. Priorities for future improvements and reforms are identified. These emphasize integrated fiscal and management systems, service improvements, management reform, developing a labor strategy, and a return from receivership. As we continue to work together, the District will become the model for the very best of American cities. The Chief Management Officer dedicated the first four months to improving customer service in the short term and building organizational leadership capacities and management systems for long-term improvement. This report identifies the changes implemented to date and the immediate priorities. We began long-term reform with an initial focus provided by "The D.C. Commitment." This establishes the vision, values and goals that guide us. It focuses on improving customer services by holding employees accountable for implementing management reform and staying within budget. The D.C. Commitment is presented below. The District of Columbia is a model for the very best of American cities. Bill Paying Backlog Eliminated: Years of unpaid bills have been paid to bring the District government up to date with its suppliers. Trash Packers Fixed, Resulting in Overtime Savings of $85,000 per Month. Community Cleanup Debris Removal Instituted on Saturdays to Avoid Waiting Until Mondays. Motor Vehicle Services Customer-Waiting Time Reduced from 30 Minutes to 15 Minutes. 3,400 Potholes Repaired in Last Six Months and More Money Added to Street Repair Budget for Future Repairs. Remaining 10,400 to be Completed by August 1998: The District was losing $300,000 to $500,000 in revenue from broken and vandalized meters. Fire and Emergency Medical Services Response Times Reduced: fire-related calls (by 15 seconds) and medical-related calls (by 34 seconds). Improved EMS Equipment Acquired to Help Combat Citizen Heart Problems: implemented the 12 Lead EKG Program. Needy Families Temporary Assistance Rolls Decreased: from 17,942 in October 1996 to 15,152 in April 1998. Housing and Community Development Program Administration Improved: Federal Department of Housing and Urban Development lifted suspension. Customer Assistance Hotline Established by Department of Consumer and Regulatory Affairs (DCRA): Responses guaranteed within 24 hours. Morgue Renovations: Phase 1 completed. Proceeding with Phase 2 design for the mortuary and laboratory. Security Enhanced at the Lorton Facilities: Construction repairs are underway at the Maximum Security Facility. Improvements in Unemployment Insurance Program: The District's Unemployment Insurance Program now meets all U.S. Department of Labor major performance criteria. Relief From Court Orders: An agreement with the Court recently relieved the District of its obligation to perform quarterly inspections of the Central Detention Facility. 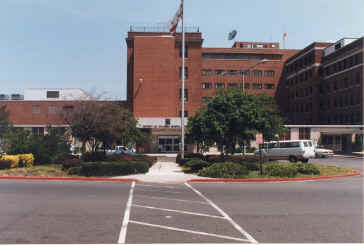 Medical Examiner Advisory Group Created: In April 1998, established a seven member Advisory Group of local and federal criminal justice organizations, D.C. Department of Health and forensic pathology experts to advise the Chief Medical Examiner on matters related to the Office of the Chief Medical Examiner. Employee Medical Bills Audited: Over $5.4 million in bills (from Fiscal Year 1994 through the first quarter of Fiscal Year 1998) was audited, with $3.8 million recommended for payment. Creating strategic economic development plan for the District. Department of Corrections (DOC) Comprehensive Staff Retention and Recruitment Incentive Package Developed: This package includes DOC pay raises designed to be competitive with the U.S. Bureau of Prisons. Over 1,200 District Employees Trained: The District of Columbia Skills Development Institute trained 1,261 employees since January in basic skills, professional development, advanced computer systems and office computer applications. Other employees were trained to help launch the Integrated Supervisory Management Training Program. Personnel Implements Internal Staff Training: A staff assessment was conducted of current competencies, qualifications and training needs. Curricula and schedules were developed to train employees for new positions as personnel management specialists (generalists). Contract Let for Competency Based Broadband Pilot Study: As part of personnel reform, the Personnel Department is replacing the current job classification system with a competency based broadband system. A contract with the U.S. Office of Personnel Management will design, implement and evaluate a pilot project which will include an analysis of the District's classification system and job analysis verification. Our approach to improving District operations is both short term and long term. It recognizes the need for immediate improvements, as well as the need for basic changes in the way we manage. Although, fundamental change will take time, early successes provide the momentum and credibility for changes requiring greater time and investment. Stringent financial procedures are beginning to produce better financial results, including a projected end of the year surplus for 1998 following the surplus for 1997. Our bond rating has improved: based on Standard and Poors, the general obligation bond rating has increased from B to BB. The District has a great resource in the dedicated and talented people that comprise its workforce. Weekly Department/Agency Directors' Meetings, hosted by the Chief Management Officer, provide the framework for ensuring the District government operates as a cohesive unit. While respecting the reporting and political relationships between District entities, the quest for inclusiveness extends to other District government entities. Recognizing that a fragmented government cannot successfully deliver quality services, these meetings and other complementary efforts encourage cooperation and teamwork. Co-sponsored workforce development sessions with the Mayor in April: sessions attended by over 3,000 District employees. Facilitated communication and enhancement of the D.C. Performance Management System. To support the implementation of the District's performance management system, all District managers and selected employees are participating in a phased process to create a strategic focus. This strategic focus will allow us to prioritize resource allocations, both human and fiscal, in a context that all will recognize as realistic. It will make possible the development of performance and outcome measures that ensure staff accountability. We are building upon the products of prior agency level and District-wide planning and transformation activities. This process will include monthly management forums, periodic retreats, volunteer teams and task-centered groups, as well as citizen focus groups, stakeholders interviews and related gatherings. All will be a part of this inclusive approach to creating a customer/citizen centered strategic management focus for the District. Complementing the customer/citizen centered strategic management focus will be the Fiscal Year 1999 agency workplans, which will be completed in draft form by July 31. They will be reviewed and adjusted before the beginning of the 1999 fiscal year. The D.C. commitment is being used as the backbone in developing the District's strategic plan. Forty-five key District officials attended a one-day strategic planning retreat on April 30, 1998 and formed a task force to review all current District strategic plans to insure the incorporation of relevant information into the new strategic management focus. To communicate the commitment to employees, we developed a performance management system that integrated existing initiatives and tied together the elements of effective management. The strategy is summarized in the District-wide Comprehensive Performance Management System that was presented to Congress on March 2, 1998. Development and full implementation of the system is still underway, but there have been significant achievements. The following outlines the system elements. The Five-Year Strategic Plan represents the District's vision, guiding principles, mission, strategic goals, strategies and objectives. The District's plan will lay the foundation for the agencies' strategic plans. The Annual D.C. Commitment is an easily understood one-page statement of the District's vision, values, and goals for the current fiscal year. The Annual Budget links the funding for each program area with performance measures to monitor results. The Management Reform Initiatives outline each individual management project for improving service delivery. The Agency Annual Workplans use the budget, management reform plans and strategic plan to map out detailed goals and objectives for the fiscal year. The Individual Performance Plans include performance goals, objectives, milestones and performance measures for District government executives and managers that will serve as a basis for assessing accomplishments and accountability. Quarterly Performance Measurement and Integrated Program and Financial Reports show comparative data, actual and forecast, for budgets, workloads, and results. Scorecards/Citizen Surveys measure changes in citizen satisfaction by providing managers with continuous feedback on the match between service delivery expectations and results. By soliciting continuous customer feedback, this evaluation tool will build on the June 1997 District-wide citizen survey. A contractor has been hired to design and implement a new procurement information system. Throughout the District, technology is being reviewed and upgraded. The following major system improvements are underway. Year 2000 (Y2K): An assessment and remediation contract was awarded to IBM, through the General Services Administration schedule, to assess the District's mission critical systems. High priority systems for the assessment are payroll and retirement and customer service systems (such as Motor Vehicles and DCRA). This potential problem is still very much a concern. LAN/WAN: Maximus is assessing the District's 180+ Local Area Network/Wide Area Network (LAN/WAN) Systems. Thus far, this assessment indicates that slow response time and extensive downtime are prevalent throughout the government's networks. The consultants are presently reviewing network capabilities and upgrade/replacement requirements. The need for both upgrades and new systems are anticipated. Telecommunication System: The Office of the Chief Technology Officer (OCTO) is upgrading or replacing 90% of the District's 20,787 phones with state-of-the-art, customer service units with advanced features such as voice mail. To date, over 3,400 phones have been installed with another 3,000 on order. Public Schools and the North Capitol Street Government Center have priority for phone installation. 800 MHz and CAD: The Office of Emergency Preparedness (OEP), Metropolitan Police Department (MPD) and the Department of Fire and Emergency Medical Services agreed to consolidate efforts in the procurement and installation of both an 800 MHz Radio System and a Computer Aided Dispatch (CAD) System in order to improve public safety, increase efficiency and decrease costs. Additionally, CAD demonstrations are currently in-progress. Motor Vehicle Information System (MVIS): For the short-term, the agency has replaced equipment and performed programming changes to stabilize the current MVIS system to decrease system downtime. District personnel have visited Virginia, Maryland and North Carolina's motor vehicle operations to review their information systems. Current processes must be reengineered before system requirements can be confirmed. Procurement Management Information System (PMIS): A contract was awarded to Coopers and Lybrand on April 27, 1998 for project management services. In-house staff are currently re-engineering processes, creating manuals and assessing additional requirements. Child Support Computer System: This system brings the District in compliance with the Family Support Act of 1988. After six weeks of parallel testing, the system became fully operational on March 3, 1998 without interrupting service delivery. Legislation included in the District's Fiscal Year 1999 Budget Request Act reorganizes the Department of Public Works (DPW), eliminates the Department of Administration Services (DAS) and creates new departments and agencies. Department of Motor Vehicles (DMV): DMV, responsible for functions normally handled by states, will now be an independent department instead of a division within DPW. The adjudication function will be included in the new department, while the parking management function will be a division within DPW. Office of the Chief Technology Officer (OCTO): With the abolition of DAS, a separate technology office replaced the Information Resource Management Division. Establishment of the OCTO highlights the importance of technology management and allows the standardization of software, hardware and procedures throughout the District Government. The Chief Technology Officer's Council was formed to coordinate all agency information technology personnel. Office of Contracts and Procurement (OCP): This cross-functional office was created to establish uniform and professional contracting and purchasing procedures throughout the District government, including the schools. OCP's organizational structure allows for a focus on three clusters of customers: public education and safety, public management and health and human services. Under a consultant contract, the National Institute of Government Purchasing (NIGP) has begun an assessment of the professional procurement qualifications and competencies of incumbent District contracting and procurement agents. Office of Property Management: This cross-functional office, previously part of DAS, will be responsible for all property management needs throughout the District government. It will also include facilities design, construction management, and maintenance and repair responsibilities previously residing in DPW. For the first time, the Fiscal Year 1999 joint budget process included the Authority, CMO, Chief Financial Officer, D.C. Council and Mayor. The joint sessions resulted in a consensus, performance-based budget guided by ten key budget decisions. Determining program enhancements and service improvements should be made. The preceding section highlighted early achievements. Our priorities will continue to be improving customer services, implementing management reform and meeting our budget targets. Many of the 269 management reform projects and program enhancements will improve service delivery within the next year. The following paragraphs highlight a few of these. Will educate the District's 25,000 welfare recipients about the requirements and programs of Welfare to Work legislation. Will create two one-stop multi-service centers (one this year). Residents can access multiple motor vehicle and adjudication services in one place. Will establish up to three one-stop centers. Consolidates employment opportunities, training and education, labor market information and other career development resources. Pilot site opening in August. In June, contract will be awarded to design a comprehensive property lease system. System will allow the District to track the fiscal and operational impact of the 140 leases presently managed by the District. Completed the District's School to Work Implementation Plan that is anticipated to bring in $9 million to support programs preparing high school students for college and careers. Defining solutions to health services delivery and more efficiently managing health resources will be a priority. By leveraging local funds through Medicaid, health care to District residents will be improved. Preparing a proposal that would allow an estimated 21,673 uninsured residents to secure comprehensive health insurance. An updated assessment of maintenance work needed for District buildings will be conducted this year. Executive and senior level personnel throughout the District government will be trained and recruited. Focusing on leadership expectations, improved customer service and accountability will be mandatory. Such actions will help ensure that effective management, guided by strategic planning, leads to improved employee performance and service delivery. Continued aggressive identification and recruitment of District managers. Assessments of current manager performance will include staff changes, as necessary. Reasonable transition plans for return of agencies to District management are being completed in coordination with the concerned entities. Phase 1 will result in a preliminary guiding resource document by July 1998. Phase 2 will result in updating and expanding the guiding resource document into a long-term strategy for transformation. The lack of basic reporting systems to track departmental assets, activities and the progress of improvements will be addressed. The lack of fundamental management information systems makes it difficult to attain accountability among staff for their departments' activities and progress. Citizens will be engaged in identifying service and program priorities. The Scorecard will be used to continuously measure the District government's performance. Staff to perform internal management audits of District departments. Implementing our comprehensive labor strategy will be a major priority. A symposium led by the Labor Management Partnership Council and facilitated by the Federal Mediation and Conciliation Service is scheduled for this summer.